This dress offers chic, delicate row of beading lines the collarbone of this illusion bateau neckline fit and flare gown, before falling into a heavily beaded bodice with an intricately scalloped lace hemline. The illusion back is decorated by buttons. 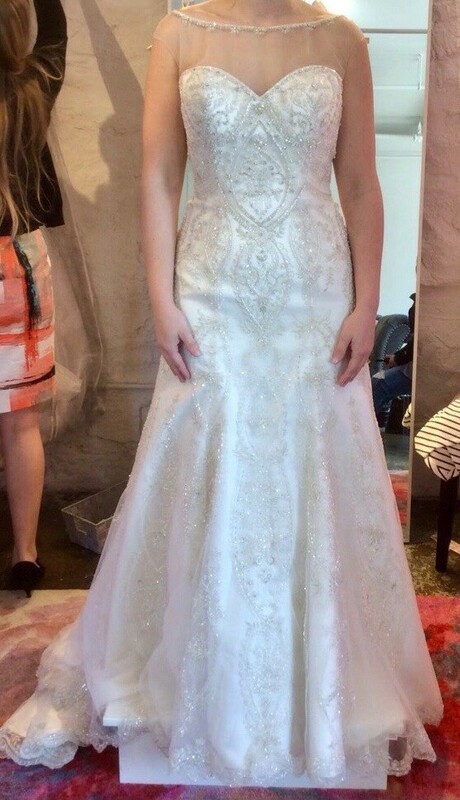 Dress has only been worn in the store and was never altered.